The Mannes Orchestra is proud to present the US premiere performance of Carl Davis’s Last Train to Tomorrow at Alice Tully Hall. Carl Davis, the legendary composer and conductor, will conduct the work himself. 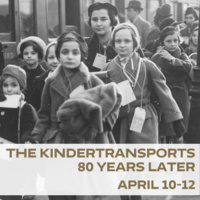 This semi-staged presentation marks the 80th Anniversary of the Kindertransport movement, a series of rescue efforts which brought thousands of refugee Jewish children to Great Britain from Nazi Germany between 1938 and 1940. The Mannes Orchestra is joined in performing Last Train to Tomorrow by the Mannes Prep Senior Chorus and students of the School of Drama at The New School. Stage direction by Jennifer Holmes. The program will include Beethoven's Symphony No. 6, "Pastoral", conducted by David Hayes, artistic director of the Mannes Orchestra. 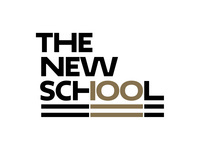 Known for their bold and adventurous programming, the Mannes Orchestra has been hailed by The New York Times for playing with “inviting warmth and solidity,” and for their “intensity of focus.” The 2018/19 Season has many exciting performances, collaborations, and projects, including performances at Lincoln Center’s Alice Tully Hall, John L. Tishman Auditorium at The New School, and appearances with the Mannes Opera at the Gerald W. Lynch Theater at John Jay College. This event is part of THE KINDERTRANSPORTS, 80 YEARS LATER series. These events are presented by the College of Performing Arts, The New School for Social Research, The Zolberg Institute on Migration and Mobility at The New School and the Kindertransport Association. Free Tickets, available in person at the Alice Tully box currently sold out. Further tickets may be released starting April 8th.